Three bestselling Rainbow Fish titles in board book formats! Packaged in a sturdy little suitcase with a handle to take wherever you go. 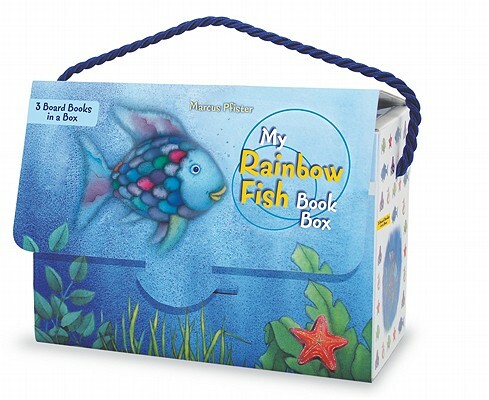 This adorable little box contains board book adaptations of The Rainbow Fish, Rainbow Fish to the Rescue, and Rainbow Fish Discovers the Deep Sea.